This is what I want Seven Springs to look like. 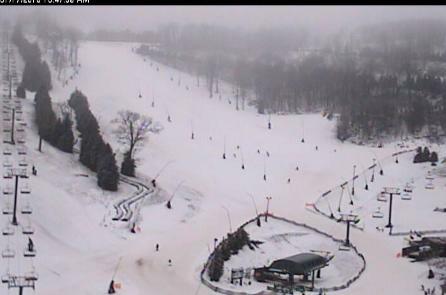 This is what Seven Springs actually looks like at the moment. Friday was going to be the day that I skied for the first time since 2011. But between last weekend’s rain and this week’s ice — and the astronomical amount of money it costs to ski a Friday, which is now deemed a weekend day by the resort — I’m not feeling like my triumphant return should be spent slogging through groomed ice balls and muddy snow. Low 20s is great snowmaking weather. 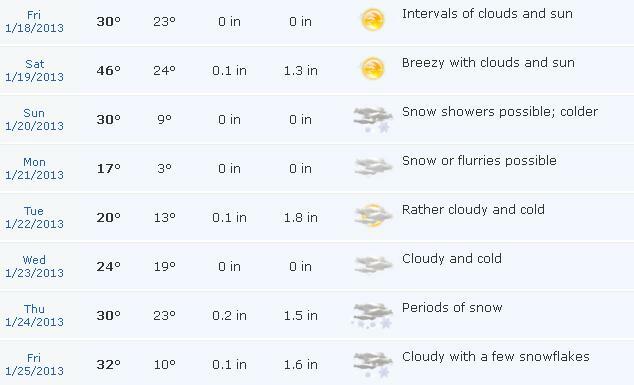 … I think it’s safe to say that you’ll find me at Seven Springs next Friday. Mmm skiing. I haven’t been since my honeymoon in 04. GAH. Then you should have been there last week. LOL. We actually go in the actual summer each year. The swimming is fabulous. And the Alpine Slide! I would love to go in the summer, or better yet, in the fall. Maybe camp at Ohiopyle and spend a day playing at Seven Springs? Previous PostPrevious belgium. via florida.